Our instructional Security Screening Mats ensure a smoother security check process by indicating the proper location and stance to take when conducting searches. 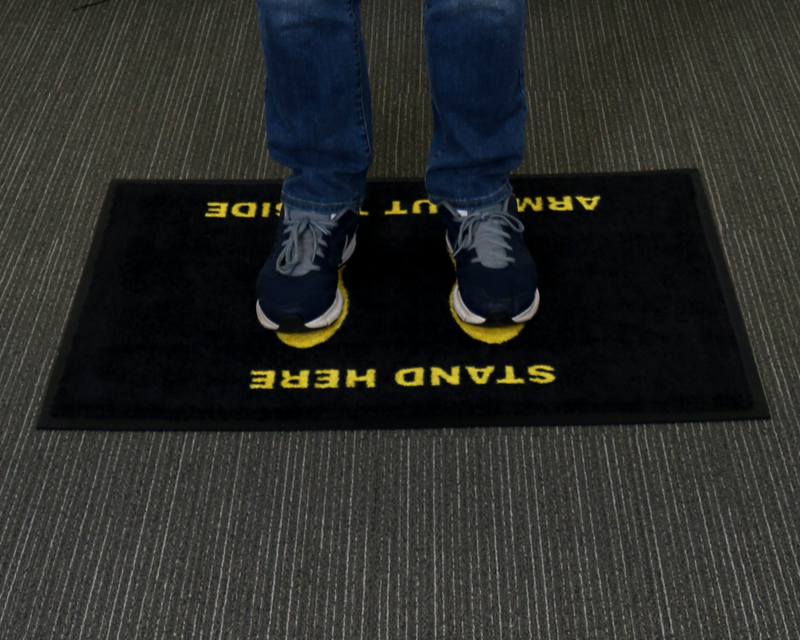 These security mats guide passengers where and how to stand during airport, stadium or courtroom screenings making the procedure more efficient and professional. • Classic Xpressions Mats have a plush carpeted surface that cradles your feet and absorbs moisture. The anti-skid rubber backing keeps the mat in place—preventing it from migrating. 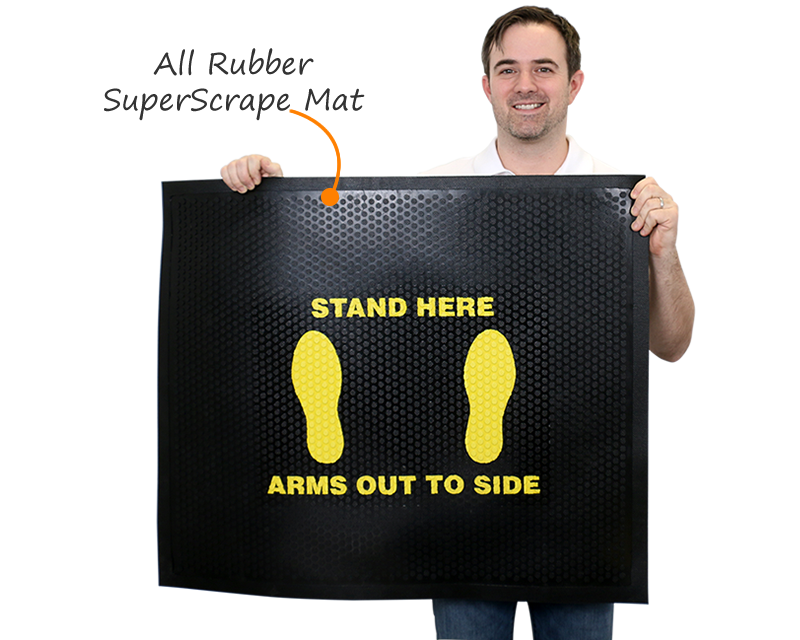 • Built to last Superscrape Mats have an all rubber design that's great for indoor or outdoor use such as in stadiums or arenas. 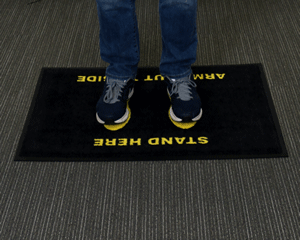 The surface nubs gently massage your feet and are comfortable to stand on. Plus maintenance is as simple as hosing it off and letting it air dry. • Durable construction helps withstand heavy traffic abuse and the embedded dyes penetrate the surface to prevent fading and discoloration. 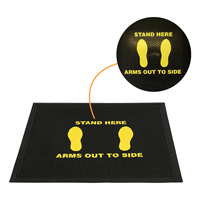 • These security mats meet slip resistance standards of the National Floor Safety Institute. 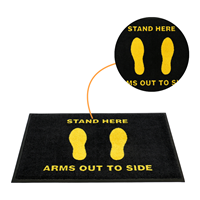 • Available in two backing types: cleated for soft surfaces and smooth for hard surfaces.